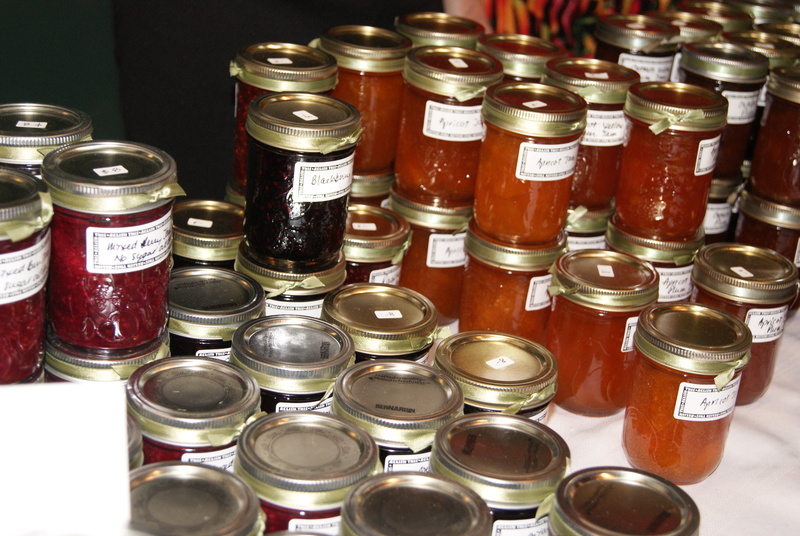 Homemade jams and jellies found at a church sale. The letter J is a consonant and, as the newest addition to the alphabet, one of the least used. In English, the letter J is followed by a vowel. English words do not end in the letter J. Words ending in a “dzh” sound are spelled with a g followed by an e to make a soft g or j sound. The letter J was originally used as a variation of the letter I, to create a distinctive ending to lower case Roman numerals, e.g., “xviij” for “18”. Other than that, classical Latin did not have a letter J until Latin scholars started to add them. In 1524, the letter J began to be used as a distinct letter in Renaissance Italian and Middle High German. In English, too, the letter J became useful as new sounds entered the language, starting in 1634. Before that, for example, “JUSTICE” was written as “IVSTICE”. The vowel I, used as a consonant, came to be expressed as a J. Other languages have adopted the letter J but pronounce it differently. Some languages, for example, modern Celtic, do not use J except in proper names. A junction is a crossroad or intersection. A junction box is something else. The name of the first month of the year, January, is taken from the Roman Janus, a diety with two faces, one looking forward and the other back. The month of June is named after Roman goddess Juno, wife of Jupiter. The month of July is named after Roman emperor Julius Caesar (b. 100 BC; d. 44 BC).